Considering a Second Mortgage? It can save you money! Quick, what’s the first thing that comes to mind when you think of “second mortgages”? For some it could be that shady-looking character in a smoke-filled pool hall… guys with gold chains and a baseball bat nearby. Maybe you’re thinking of someone in financial trouble? Or, perhaps it’s just someone who doesn’t want to pay outrageous costs and penalties to refinance their existing mortgage. The mere mention of second mortgages conjures up all sort of images. Most of them, negative. For many, a second mortgage can be a last-resort solution during a financial crisis. For several others, it can be an opportunity to save money. That’s right, to save money. Sure, second mortgages carry a higher interest rate than first mortgages, but they can also serve a purpose. One of those purposes can be to save you money. Yup, I said it again. There are some new trends emerging with today’s new mortgage products that are forcing consumers to seek other options. Two of these trends are INFLATED PREPAYMENT PENALTIES and NO FRILLS MORTGAGES! I’ve written extensively about the unfair prepayment penalty calculations used by all the BIG SIX BANKS. With interest rate discounts being higher than ever (around 2.00% off posted 5-year fixed rate), we have also seen ridiculously high prepayment penalties. We’re talking about 14, 16, and 18 months’ worth of interest penalties being charged to unsuspecting consumers. That’s $20,000, $30,000 and even $35,000 in mortgage prepayment penalties. Remember, this isn’t some obscure bank or small lender – it’s the BIG SIX BANKS. HERE’S ONE EXAMPLE OF HOW A 2ND MORTGAGE HELPED THESE CLIENTS SAVE. SITUATION… Recently, a couple contacted me for help. They needed to borrow $40,000 to pay for some home repairs and renovations. They had a first mortgage with a major bank with an interest rate of 3.19% and 3 years remaining in their term. They couldn’t refinance it with the bank because mortgage rules won’t allow you to refinance a first mortgage above 80% of the appraised value. Second mortgages, on the other hand, are available up to 95% of the house value. OPTIONS…. well, there really was just one. We ended up getting this client a $45,000 mortgage with payments of $488/month and it didn’t cost them $26,000 in penalties or fees like the bank wanted. And when their first mortgage comes up for renewal in 3 years, we’ll combine both mortgages into one new first mortgage… and we won’t be going to a BANK that has those inflated prepayment penalty calculations. NO FRILLS MORTGAGE (OR LOW-RATE MORTGAGE, AS SOME CALL IT) FORCES $62,000 IN FEES & PENALTIES OR A 2ND MORTGAGE! Here’s another growing reason why second mortgage volumes are increasing. ‘Just get the lowest rate possible’… I’ve actually seen a lot of banks and brokers promote this strategy without regard for the terms in the mortgage. That’s a dangerous strategy to take… please read on as this example may sound familiar to some of you. Common practices by the big banks is nothing more than clever marketing. They advertise a rate that’s slightly lower than the rest of the BIG SIX BANKS, yet they don’t seem to focus on the product limitations (of course, they don’t tell you your mortgage broker will usually get you better rates and always get you better terms). We won’t go over all those limitations here, but we will focus on one: Not being able to refinance the mortgage with another lender. That’s right, you can’t pay out your mortgage prior to the renewal date unless you sell your home. I had a client come to me with a big bank low-rate mortgage. They ran into some financial difficulties. They own a house worth $600k with a $400k bank low-rate mortgage (this is a NO FRILLS mortgage). The rate is 3.29% with 3 years remaining. They had some bad luck. The transmission on their 8-year-old car will cost $6,000 to replace. Not worth the repair. They need a newer car (stay away from brand new cars… buy 1- or 2-year-old vehicles and save 30-40%). They also need to do some repairs and renos on their home. Last year, they had inconsistent income due to lower bonus income. This affected their ability to pay some bills on time. They approached their bank for a $50k mortgage increase. Their bank had to decline them due to their lower credit scores. But they also can’t payout the bank low-rate mortgage because they’re in their NO FRILLS mortgage. The only way to get out of the bank mortgage is to sell the home. OPTIONS… Sell the house and buy a slightly lower-priced home for $550k. This will free up your equity to pay your bills… however, you’ll have to pay $30k realty fees, $1,500 lawyer fees and $7,400 Land Transfer Tax (amount depends on province… to my friends out west that don’t have LTT, I’m envious!!) And if you’re in the city of Toronto, you face an additional Toronto Land Transfer Tax of $6,700. That’s around $38,000 to $45,000 in property disposal costs!!!! And we haven’t factored in the bank mortgage penalty… that’s gonna be another $17,000! Grand total is $62,000 in fees and penalties. OR… Keep the house and get a 2nd mortgage. We got this client a $55,000 second mortgage with payments of $595/month. They kept their home, got a new car, did the small renos that were needed in the house and are working to pay back this mortgage. Once their first mortgage comes up for renewal, they’ll be seeking my help to combine the first and second mortgages into one new first mortgage… and to get away from the NO FRILLS mortgage. MORE EXAMPLES OF WHEN A 2ND MORTGAGE CAN MAKE SENSE. Second mortgage rates can vary. Be sure to consult an experienced mortgage broker prior to considering a second mortgage. Second mortgage lenders will reduce their loan amount or won’t go behind a collateral first mortgage or secured line of credit. That’s because these types of mortgages are not amortized. This means they can be paid down and go back up. TD Canada Trust and ING are registering all their mortgages as collateral charges. Scotiabank is rumored to be making a change to register all their mortgages as collateral charges also. Here’s some advice… stay away from collateral charges. You’ll find it difficult to borrow a second mortgage and, probably more importantly, you’ll have limitations when it comes renewal time as collateral mortgages aren’t accepted for transfers. This reduces your negotiating power at renewal time. Previous Previous post: Interest Rates are Rising… and Expected to Continue… But! 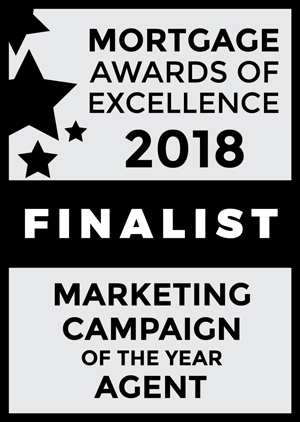 Next Next post: Mortgage Awards of Excellence Marketing Campaign of the Year Finalist! CanadaMortgageNews.ca Considering a Second Mortgage? It can save you money!